Mr. Misadventures and I spent three weeks in Central Oregon, staying in Dayville, Redmond and Crescent. This part of Oregon is really unique. 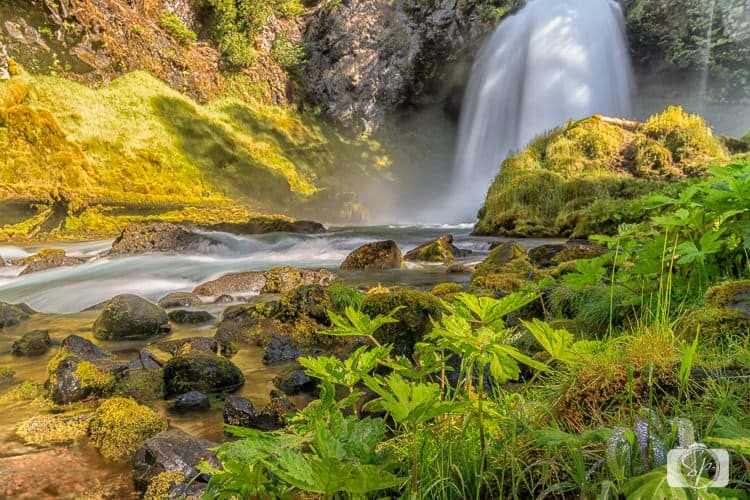 During our time we found ourselves in the arid high desert, in lush redwood forests with gorgeous waterfalls and along volcanic lakes that were both harsh and breathtaking. 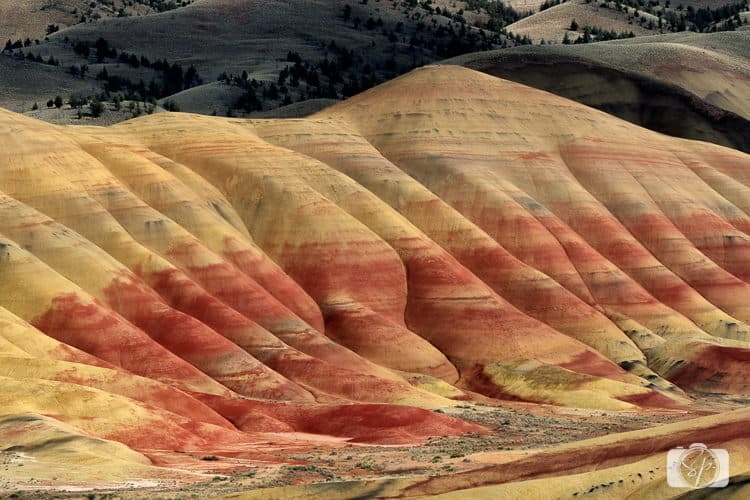 The Painted Hills were quite beautiful, the geological layers, mesmerizing. The juxtaposition of minerals that have lasted for thousands of years with their delicacy in that their intricate patterns can be destroyed with a single footprint. It blows the mind. We really enjoyed exploring this park and want to return so that we can hike the ridge (I had an injured foot so we couldn’t on this trip). The local natives were cute too! Darn it if we couldn’t capture one of the family of marmots that were in the field at the entrance of the park, not for lack of trying! But we did get this little lady (mid-chew!). The clarity of the water in the volcanic lakes was dazzling. And despite mosquito-gate, the allure of Crater Lake was bewitching. We will just have to return a little later in the year next time! We visited so many little lakes that were just dazzling and it was so hard to wrap my heading around the craggy (and kid of ugly) lava rocks and the gorgeous colors of the waters in every hue of blue and turquoise. 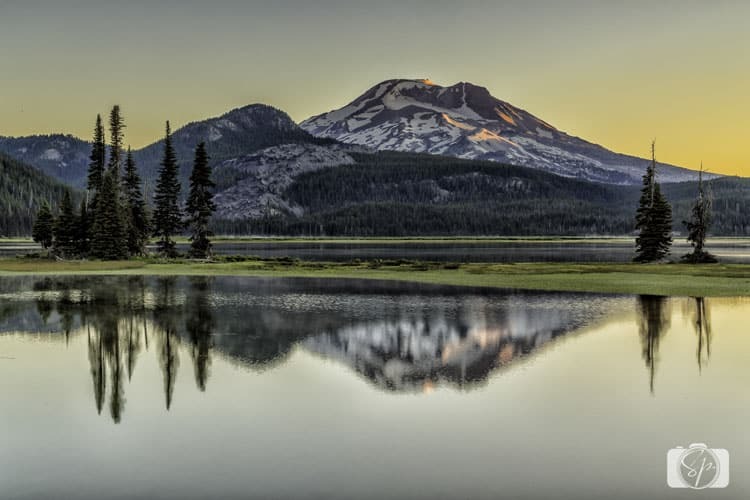 One lake that stood out for its beauty (and lack of mosquitoes) was Sparks Lake, and the 4 a.m. wake-up to photograph it at sunset was not a hardship at all. Sipping a cup of coffee as the sun rose above this lake was one of the best moments of the trip. I haven’t been to a lot of waterfalls in Washington, but until I can confirm, I feel like Oregon holds the title for having the most gorgeous (and easily accessible) falls. Our favorite was Proxie Falls off Highway 242 in the Cascades, a little tougher hike and the McKenzie River to cross (I made it without falling, a couple a few minutes later did not), but totally worth it to get to this. Sahalie Falls, also off of the West Cascades National Scenic Byways, but this time off of Highway 126, was incredibly easy to get to, practically a hop, skip and a jump from the parking lot. Another beauty. From Sahalie Falls we also hiked to Koosah Falls in the same area. The hikes to reach the falls were my favorite kind of hike. Among the redwoods with soft cushioned floors and cool air. Some hikes to falls were bit drier and after the hike to Steelhead Falls, I couldn’t help but want to dive in to cool off! 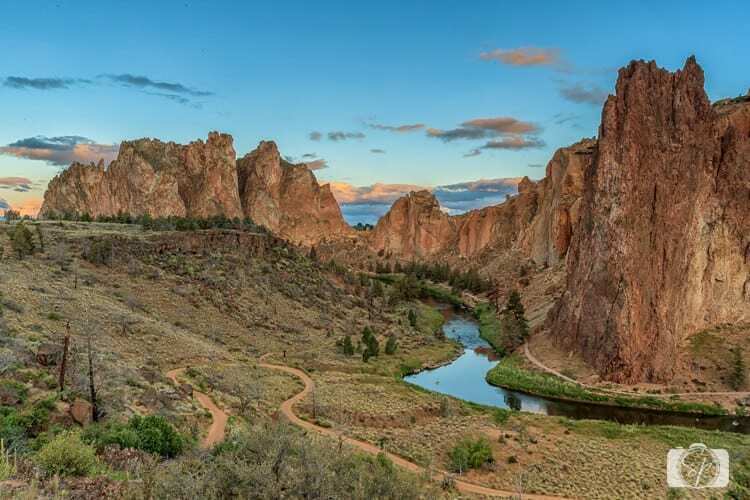 As you can see from the photos above, the landscape in Central Oregon is incredibly diverse and quite frankly, enticing! It’s definitely calling to us for more exploration, as we missed quite a bit despite our three weeks. How about you? 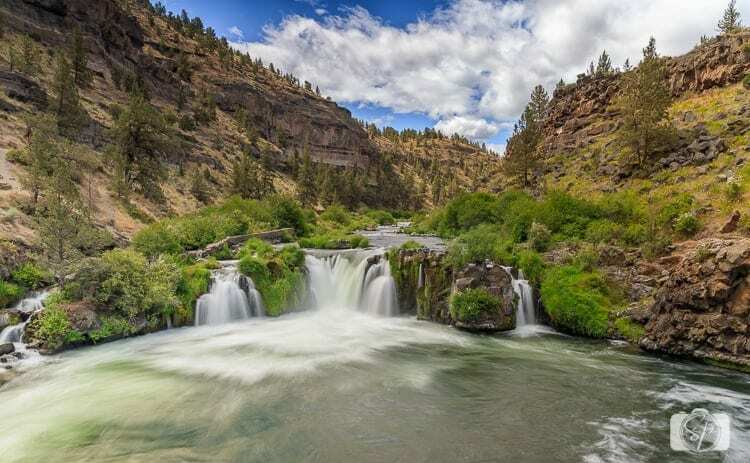 Have you been to Central Oregon? What was your favorite spot? Do you suggestions for future trips? Looks like a great place in Oregon to visit. I love when I can see nature during my travels, such beautiful captures. Thanks for sharing a state that you visited, it’s quite a distant from me, but maybe we can get out there some day in the future! What a beautiful places its really looks quite peaceful. I would love to go there one day and I’m sure my family would love it. What a lovely state! I sure hope to get there someday. Oh, my–these pictures are simply stunning! Makes me wish I could visit, but the pics put me there. Thank You. 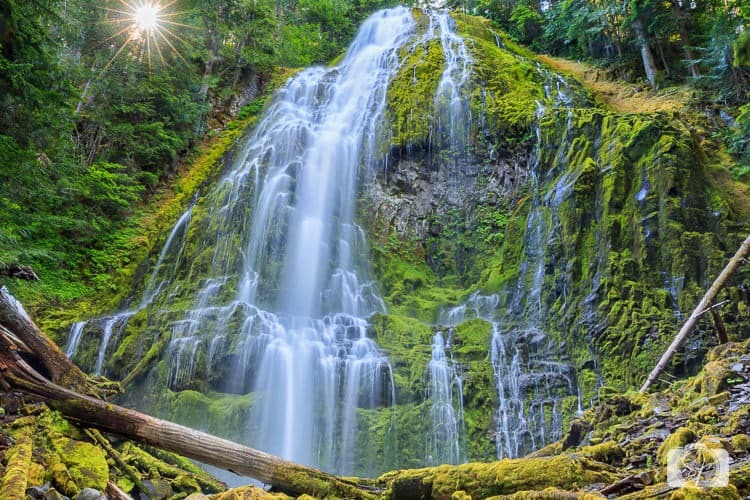 Oregon looks astonishingly beautiful! I’ve never been but I want to oh, so bad! I’m in heaven just looking at these photos. I haven’t been since I was young. I have GOT to get out there again! I love oregon! Its a realy beautiful place to visit! These are some amazing photos. I had no idea that Oregon was so beautiful. Maybe I will have to add it to my list of must-see places. Such beauty! Oregon is a skip, hop and a jump from California. I need to spend some time there. those waterfalls are breathtaking! I’ve always wanted to visit Oregon, I have never been. The colors of the scenery is beautiful. 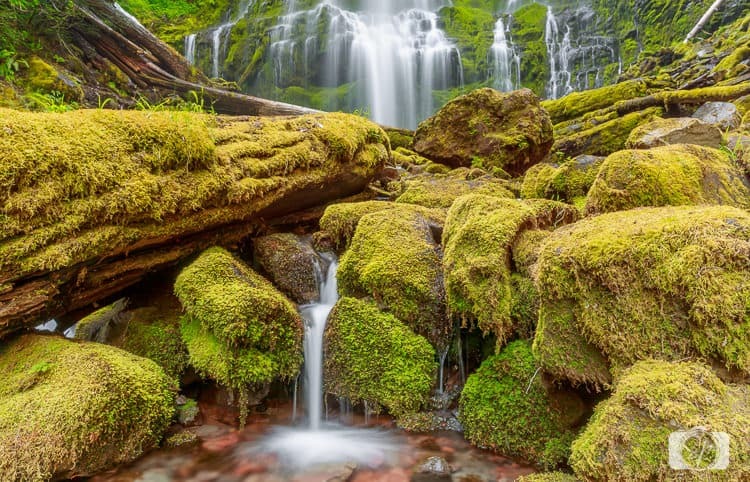 I have been to Oregon a couple of times and have never gotten to see any of this. I HAVE to make it a priority next time — so beautiful. 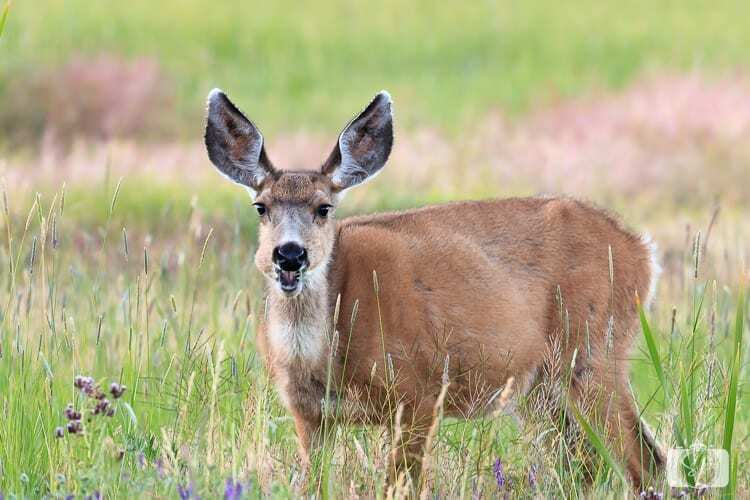 And that photo of the doe is me pretty much every time someone wants to take a picture while I’m eating. I CANNOT PUT DOWN THE FOOD. Omg who knew Oregon was so pretty!!!! These photos are breathtaking!!!! I have always wanted to go to Oregon. I should plan a vacation for it.. Such breathtaking views! I’ve never been to Oregon. Is this Oregon, or is this New Oregon on a different planet in the future? Wow!